Content writing and production is timely but a must for a growing blog or business. This article will share with you different places that you can buy articles as well as done for you content that covers more than just articles. This includes social media updates, graphics, ebooks, checklists, sales pages, lead magnets and much more. 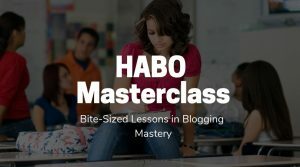 Recently in my Facebook Group Help a Blogger Out, I opened office hours and asked members to share a current blogging struggle that they’d like help with. 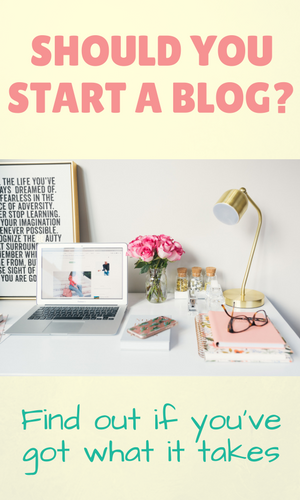 I do this every now and then so that we can all share and help each other out because blogging can be a lonely journey especially if you are privileged enough to do it from home. One of the common themes coming out of the thread was content creation. If you’re a blogger with a full-time job or other obligations, it can be hard to carve out time to create content to keep your blog business afloat. But content is so important to our business, it is the bottom line. It’s what keeps our community engaged and coming back. 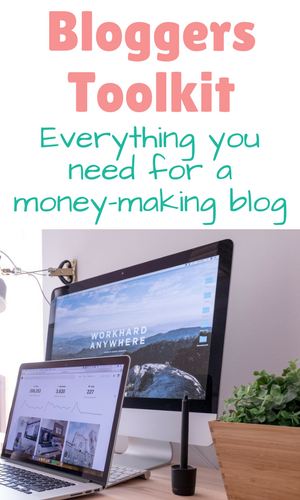 With this in mind, I believe it is one of those things I believe in investing in if you can and if making money from your blog is important to you. 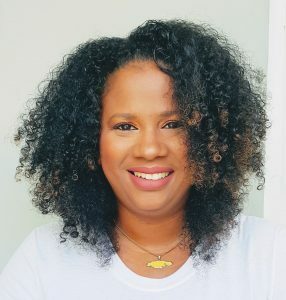 Now, I don’t think you should spend money all willy-nilly until your blogging business can support itself and even then all business owners make smart decisions. However I also believe that you do have to spend some money to make some money. Any kind of business that you’re in, you’ll have to buy supplies to keep you going and you’ll have to pay for services that help you to run your business better. See how buying blog articles becomes justifiable when you start to look at your blog as a business? Of course, I believe in strategy above all and I will discuss how you can strategically outsource some of your content creation to help proper your business into more profits. What is Done For You Content? Where Can I Buy Articles and DFY Content? 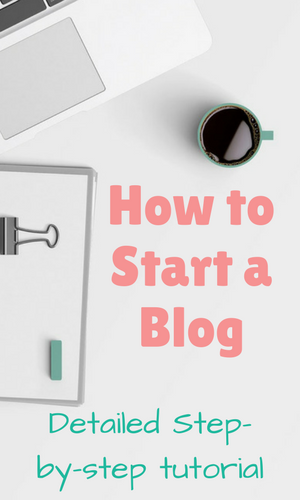 When I buy articles, I do it because I have an idea or topic that I want to blog about but want to get it up and done in the quickest time possible. Buying done for you content makes it quick and easy to take someone else’s work, edit it to my liking and branding and get it up and out quickly so that I can focus on something else that will bring in more money. Another reason that I may buy articles is when it pertains to something that I want to write about but do not have personal experience with the topic. This means that I will have to spend many hours researching other sources to gather my information that I can then compile into an article. Instead, I source an article on the topic that I can easily flesh out more in much shorter time than it would take me to start from scratch. This also works for things like crafts, DIY content and even recipes. Food, mommy-bloggers and home decor bloggers spend a lot of time creating these projects for their blogs. Others, simply purchase the entire done-for-you pack with the progress pictures and finished pictures to go along with it. Doesn’t that sound like a dream? In that instance your job is to make sure that the craft or project is an SEO or Pinterest-ready project and that you can find affiliate products to promote using the article and boom, you’re in the money. So I keep going back and forth between the ability to buy articles and done for you content. Is there a difference? Yes there is. Done for you (DFY) content has everything all wrapped up in a pretty bow. In the above examples, you could purchase a whole Halloween party decor article for instance, complete with all the pictures necessary to complete the article. To go even further, there is done for you content that includes a digital product for sale, a freebie lead magnet to give away to your readers to turn them into subscribers, email followups so that you know what to send to these subscribers to lead them to your sales page, sales page copy and graphics and even social media blurbs to help you to promote this product. 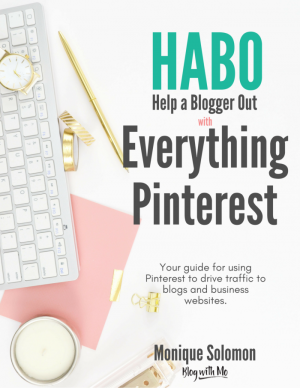 For bloggers who are scared of going through the daunting task of product or course creation, this is a quick and easy way to get through the door. All you have to do is edit the done for you content to suit your blogging voice and personality and branding. Life coaches, coaches, health coaches and even business coaches use these whole DFY packs in their business to attract customers. The point is that in the coaching industry, coaches would probably rather spend their time in their 1-on-1 or group coaching sessions with their client than actually writing articles. However they need this content for their websites, IG pages and Facebook groups as content is an important part of attracting more clients. This way, they get that out the way really quickly. There’s content for every budget out there but with all the pricing points comes different things to look out for. Let’s start with what I call premium content. If you do a quick Google search for “articles for sale” the top content writing agencies will flood the first page. These are agencies with premium writers on the payroll that pass through rigorous entry points to get accepted as freelance writers. These agencies promise articles that are free from plagiarism and written to the highest grammar and vocab standards. Premium equals big bucks as well. I have seen single articles quoted as high as $250. It may be worth it if you need a well researched piece written by an expert in a field. Other premium content agencies have cheaper pricing and you’ll be able to grab an article for a buck or two on sale, or $5 – $10 regularly. 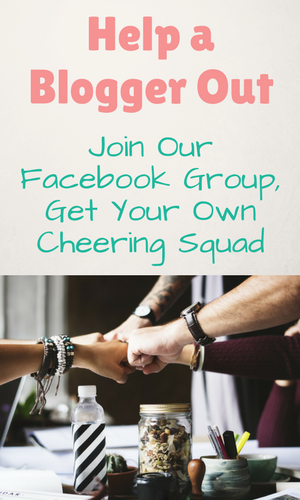 As you know, there’s a Facebook group for everything and FB groups are actually great resources for growing a blog. There are a bunch of freelance writers that hang around in Facebook groups as well, peddling their wares. They will list titles that are for sale and send it to you via email within three days after purchase. These are usually also other bloggers and so most of them know what a fellow blogger is looking for in an article. You’ll also be able to find DFY content in these groups like round-ups already done and ready to be published, recipes, crafts and other types of content. Some of them even provide recipe recreation services. This means that if you’ve come up with a recipe but you’re not the best at taking photographs, they will recreate you recipe with high-quality photos for you. Another popular place to pick up content is through writers that offer PLR services. PLR means private label rights. This means that when you purchase the article, ownership rights pass to you and you can so almost whatever you want with it. Some of them even come with MRR – master reseller rights – so you can even sell back this content if you wish. What I like about PLR content is the price. You can pick up a pack of 20 different articles on a topic for $5. You can pick up a whole DFY digital product and sales funnel for $20. The danger with PLR products is how wide it is spread. These articles are sold to thousands of people who may all be using them word for word on their own blogs. To avoid this, it’s important that you rewrite or deeply edit PLR articles that you purchase. I like to use them as ideas on a topic or for content that will not be on my blog. Maybe I will compile them into a mini-ebook to use as a freebie email optin or social media content. Still, it’s so much easier to start with an article that’s already been written, rewrite a few paragraphs. add more to it for additional information and SEO purposes (since PLR articles tend to be around 500-700 words) package it well and send it out there into Internet-land. 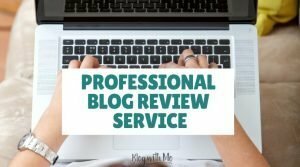 Take the time to vet your PLR provider to ensure they write quality articles that are original. Here are a few of my favourite PLR providers. Health and Wellness PLR – Lot’s of great journaling content and planners in addition to health and wellness articles. Fiverr, Upwork and the likes vary slightly from premium content agencies. These are websites where individual freelance writers sign up and market themselves instead of the agency doing the bulk of the marketing work. Kinda like eBay for services. A quick search on Fiverr for the term articles and blog posts reveal thousands of freelance writers to sift through. Again, you may still want to rewrite article purchased from writers or run them through Google or a service such as Copyscape to ensure that there is no duplication or plagiarism. When you start to blog for profit, like any other business you need to determine what your priorities are and decide how you will keep on top of them. Content creation is the meat of a blogging business and shouldn’t be allowed to slip below your usual production for very long. 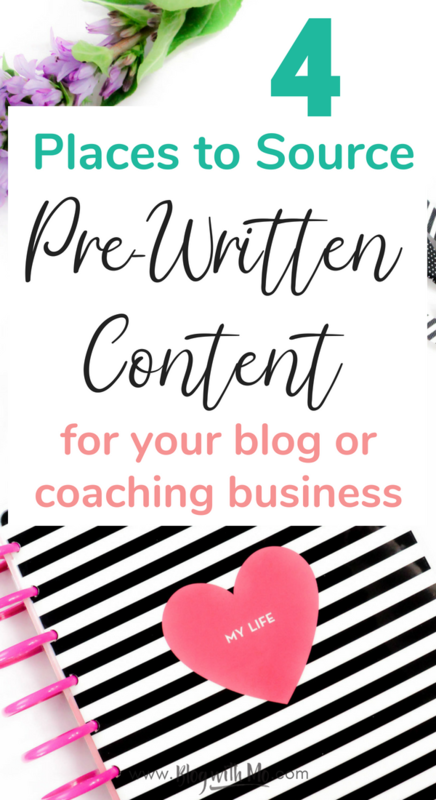 If at the very least you choose not to purchase pre-written content, put a solid blogging schedule in place to create your own content so that you always have a bulk of content ready to be published. Maybe that means batch-writing, maybe that means content repurposing on those days when you’re stretched for time or maybe that means sacrificing time elsewhere to just get it done. I hope you found this helpful, please remember to share or pin it for later and leave any questions below. Be careful on FIVERR. Test them with small jobs and check for plagiarism. I had one writer who clearly communicated over email but the article was obviously written by someone with no knowledge of English. In another case I got a great article but when I checked for plagiarism it was cut and pasted from Wikihow! There are good writers on FIVERR but you need to check it out carefully.